This map shows the number of pipelines that are proposed to be built in the Permian Basin, to handle the expected increase in production in coming years. 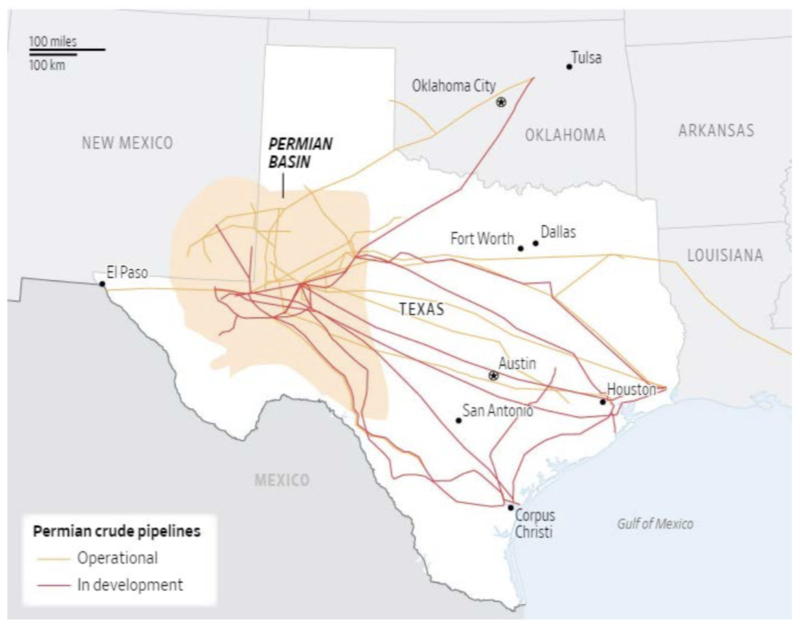 Bear in mind that the Permian Basin constitutes the largest oilfield in the world now and the proposed capacity increase of these pipelines will double the production rates. While it is true that not all of the pipelines may be constructed, it will still be the largest production increase anywhere in the world, even if only a few of them are built. The world’s oil supply and demand situation remains complicated – as are global energy politics. The main thing that energy investors need to remember is that large new supplies are coming from the Permian Basin, which will meet new demand (though not necessarily all) and continue to displace high cost producing areas.